No Guarantees Unfortunately we can Not guarantee the outcome of our efforts of delivering positive results. We have a 95% success rate which we still strive to get an even higher data recovery success rate. If you suspect that your hard drive or storage media has failed follow the following steps. Step 1.Turn off your media device immediately. Do not reboot, shake, disassemble, or attempt to clean or dry the damaged media. Step 2. Do not do it yourself. You should not attempt to perform Data Recoveryof the damaged media or you might experience Unrecoverable data and violate your warranty. 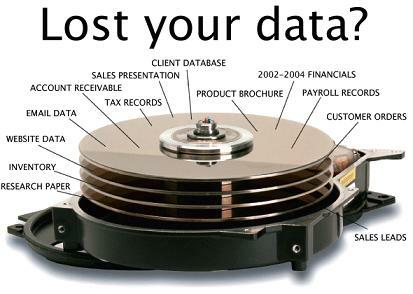 Now that you know that data loss has occurred, Contact 404 Computer Repair Services Immediately by calling (404)259-0183.